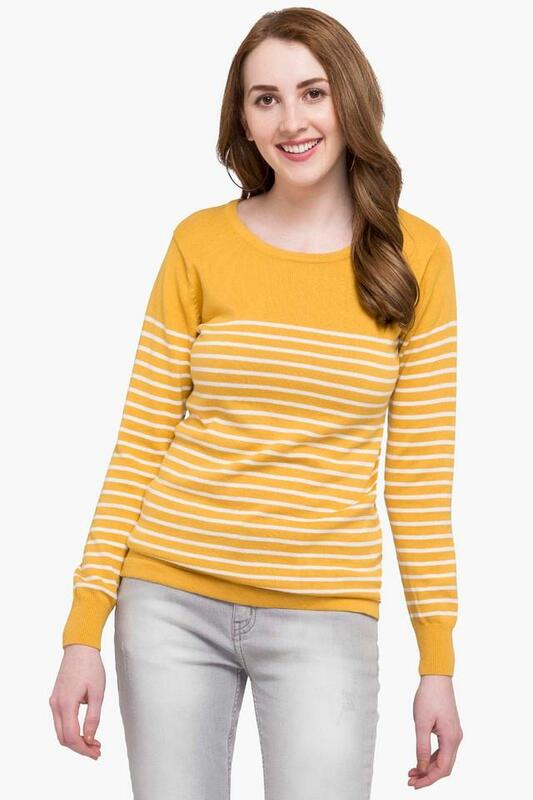 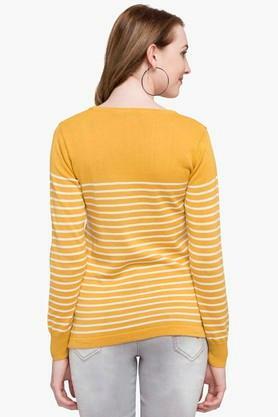 Let your winter fashion be the talk of the town by wearing this sweater from the house of Stop. 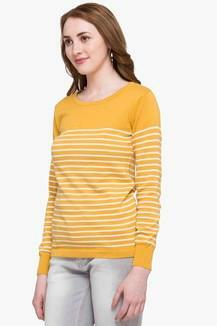 It features a stripe pattern the appeal of which is further enhanced by a nice combination of shades. Besides, it will keep you comfy and cosy all through the day as it has been tailored with a superior quality fabric. 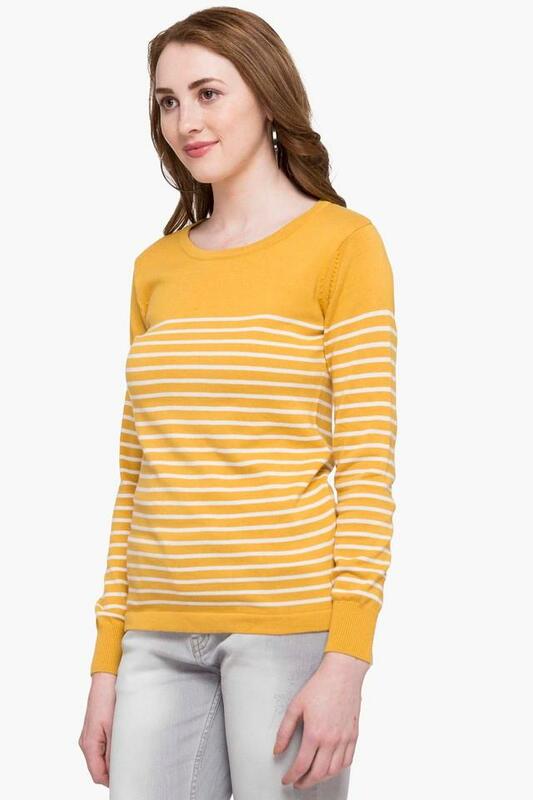 Get enveloped in optimum comfort by wearing this sweater, crafted from superior quality fabric. A top and a pair of heavy wash jeans will be its perfect complement.